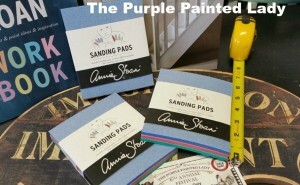 The Purple Painted Lady® are super excited about Annie Sloan’s new sanding pads that come in various grits.! 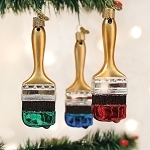 They are awesome for sanding or doing a wet distress! Click HERE to purchase! 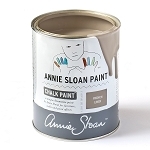 They are reusable – which means once you have saturated the sponge with paint particles from sanding, just run it under warm water with a little dish soap and clean them out to use again and again! They are a great size also in that they are not too big and not too small. 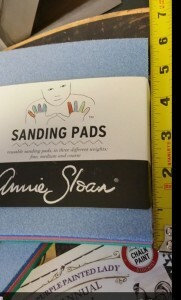 The blue sanding pad is a coarse grit, red is medium and the green is fine grit. Always start with the coarse or medium grit, working your way to the fine grit. If wanting to use them as a wet distress, just moisten the sponge side and squeeze out any excess water. We always ship out your items lickety split!! !